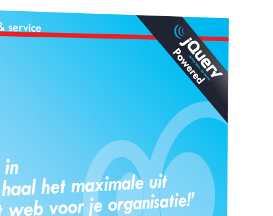 From now on jQuery will be integrated as a standard on all MOOPA-websites, regardless of your subscription. With this MOOPA makes is possible for everyone to make profit of the most modern techniques for interactivity. Of course the websites of all current subscribers will also be provided of the new framework.